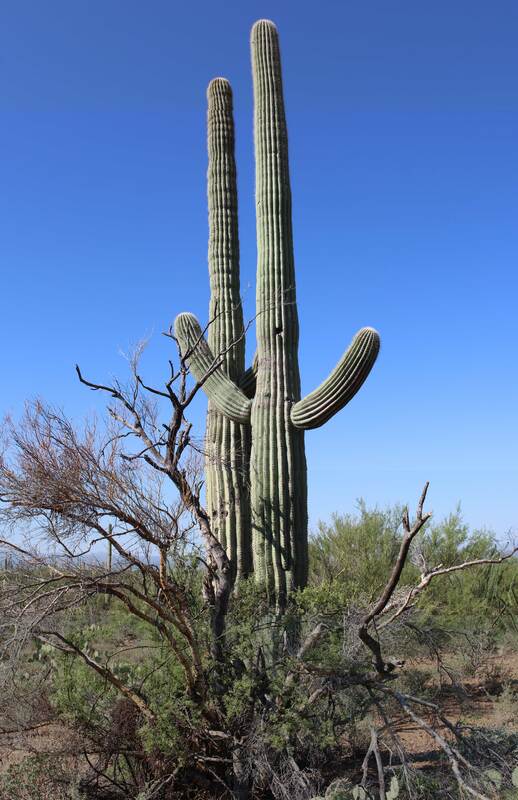 Saguaro cacti, which can take 5-10 years to grow to the size of your thumb, often get their start at the base of a protective nurse tree, like the palo verde, mesquite, ironwood, or ocotillo cactus. 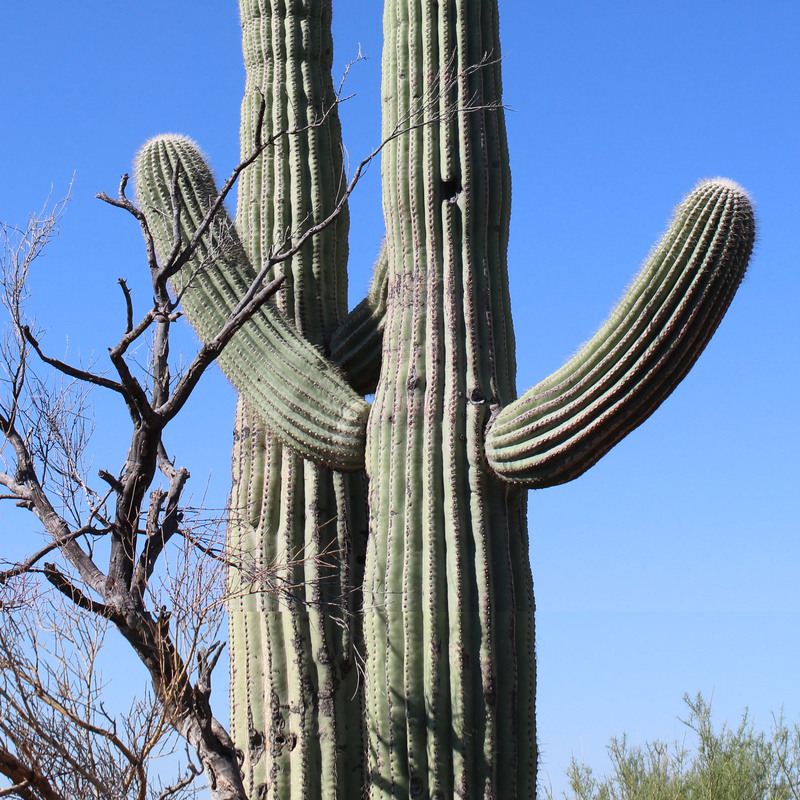 Here’s a very high resolution image of a saguaro growing through a nurse tree, taken in Saguaro National Park’s East District, just outside Tuscon, Arizona: click for the large photo. The nurse tree facilitates the survival of the cactus, which in turn gives back to the entire Sonoran desert community of plants and animals throughout its 150-200 year lifespan. Cactus love.